When you think of all the industries impacted by rapidly changing technologies, leisure hospitality probably isn’t at the top of your list. But perhaps it should be. Although hotels have traditionally relied on in-person engagement — depending on direct consumer relationships to create a loyal customer base — this is a dying practice in our digitally connected world. Experts are finding that most customers no longer feel particularly loyal to any one hotel chain. Instead they prefer to accrue points and rewards via different programs, similar to how they might leverage airline mileage programs. In their view, the more, the better — because more points equal more rewards. To improve guest engagement and ultimately, customer loyalty, hotels are doing more to meet guests where they are: on their cell phones, tablets, and other mobile devices. In order for this strategy to be successful, hotels will need to invest in better, more accessible cell service. In the past, hotel guest engagement meant remembering first names and placing expensive chocolates on pillows. But guests today are less interested in personal interaction and are opting instead for personalized experiences made possible by their personal devices. New mobile-based applications and technologies are helping to make digital guest engagement a reality. These apps can be programmed to store customer information and preferences, send guests notifications regarding room availability, and ask for feedback on previous stays via SMS. When digital devices are the catalyst for customer engagement, hotel chains can focus more on improving ease of communication for their guests. In addition to providing customer accessibility, these apps are more convenient for hospitality staff. This is especially true for hotel chains that were early adopters of tech-based social engagement since these previous strategies required hotel staff to manage a multitude of social media and text platforms. To keep up with this emerging trend in guest engagement, hotels will need to ensure that staff can get a hold of guests and vice versa. While a strong Wi-Fi signal is a good start, hotels need to consider that guests will want to connect in ways that make sense for them, which for many users means data and not Wi-Fi. Additionally, Wi-Fi isn’t as organically convenient for users, as it requires them to log on, log in, and accept the terms and conditions before receiving access. It is also not as secure as a reliable cellular signal and connection. 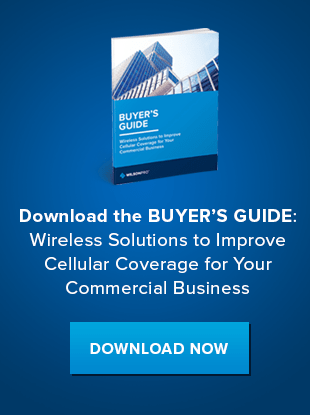 From every angle, a stronger cellular connection is the best option for hotels and their guests. When considering how to improve cellular service, it would be wise to choose an agnostic service that isn’t partial to any one carrier. This allows guests with diverse carriers to have equal access to the necessary hotel engagement tools. Strong cell service will also inspire customer loyalty from business travelers who need reliable cell service to get their work done, or vacation goers requiring access to strong data for booking on-the-go leisure experiences. Of course, most hotels require that the process of improving cell service be as seamless as possible to limit disruption for their guests. Luckily, cell signal boosters offer a minimally invasive solution. WilsonPro boosters use a passive distributed antenna system (passive DAS), which taps into existing strong outdoor cell signal and amplifies it throughout your hotel property. These boosters can improve signal by up to 3200 percent, making guest engagement –– and their ability to engage with others –– a breeze. If you’re interesting in boosting your hotel’s cellular service to improve guest engagement and increase customer loyalty, contact the experts at Wilson Pro today.